US museums have brought their commentary against president Donald Trump’s bans on immigration from select Muslim-majority countries beyond their collection displays—where some responded shortly after the first such executive order, in January—and into federal appellate court. Museums and organisations from around the country filed two amicus briefs in April to support the plaintiffs-appellees in cases brought against federal government agencies and officials, including Trump, to challenge the legality of Executive Order 13,780, Trump’s second “immigration ban”, signed in March, which limits travel from six Muslim-majority countries. The nation-wide initiative was spearheaded last March by New York’s Solomon R. Guggenheim Museum, and around 100 museums rallied to the cause with the support of the Association of Art Museum Directors (AAMD). The two documents, which contain the same outline and arguments and were written pro-bono by the New York-based David Polk law firm, have now been made public, as reported by Artnet News. The brief filed in Maryland in the US Court of Appeals for the Fourth Circuit was co-signed by the AAMD, American Alliance of Museums (AAM), the College Art Association (CAA) and 94 art museums, while the brief filed in Hawaii in the Court of Appeals for the Ninth Circuit was signed by the AAM, AAM, CAA, the Association of Academic Museums and Galleries and 101 art museums. The ban prevents or discourages individuals crucial to the production of exhibitions, performances and other museum events from entering the United States, the briefs argue, including artists, private collection lenders, curators and experts. 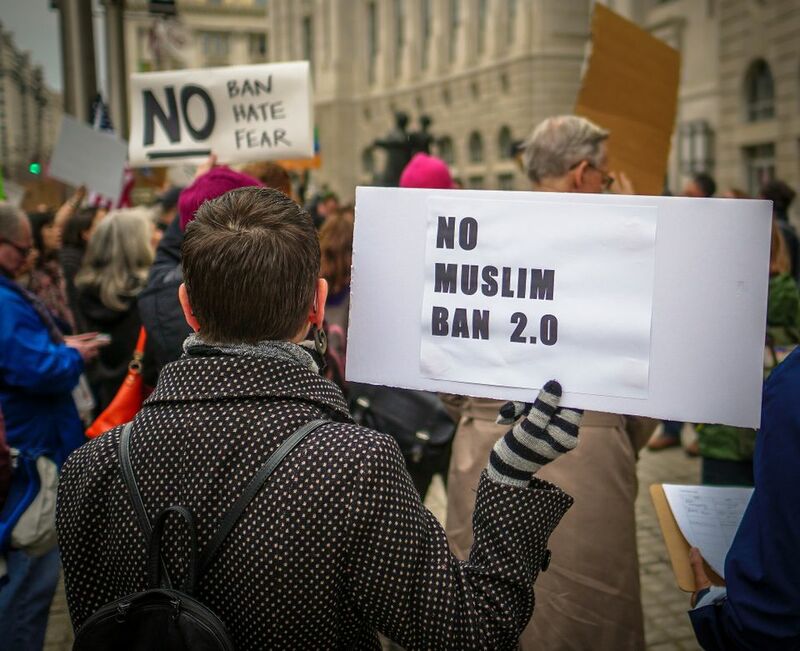 The negative effect of the ban, even if it is temporary, could continue, the briefs argue, since institutions are hesitant to plan future programming that might be jeopardised by the executive order. The Supreme Court was due to hear arguments on Executive Order 13,780 on 10 October, but has since cancelled the hearings due to President Trump's third travel ban, announced on 24 September, which removed Sudan from the list of countries and added Chad, North Korea and Venezuela. The new ban immediately went into effect for people in the countries named in both the new ban and Executive Order 13,780—Iran, Libya, Somalia, Syria and Yemen—and will go into effect for the new countries on 18 October. Unlike Executive Order 13,700, which had a time frame of 90 days, there is no expiration date in the new ban. Legal challenges are expected. This article was amended to include the most recent travel ban.